With Crossfit the main priority is performance. 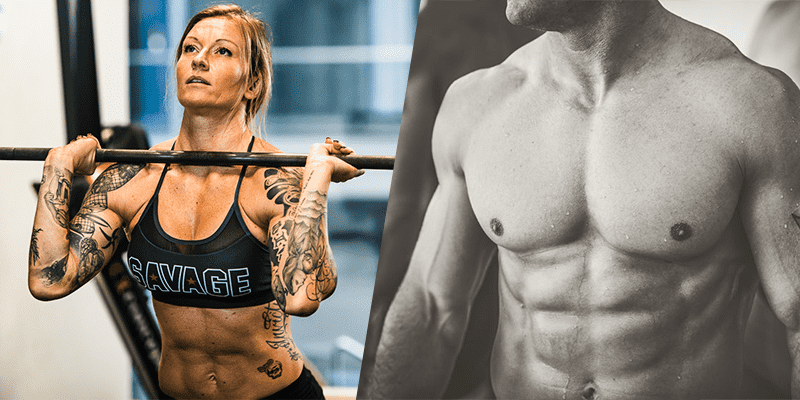 But if your motivation is to also lose fat, build strength, and look better as well, then this article will help you out on your mission. Before workout the athlete loads up on carbs in order to provide energy into the working muscles. Many professional CrossFitters manipulate the carb intake during the day. Mat Fraser also changed his diet in this fashion before his victory at the 2016 CrossFit Games. He cut out the junk food and included more natural food, fruits and vegetables. Fraser observed positive changes in his body composition. He dropped ten pounds, which improved his performance in gymnastics. Several studies showed positive results on fat loss while maintaining muscle mass on low carb diet. Body maintains its energy requirements by using the fat stores. Sufficient protein intake is recommended and supplementation with BCAA can prevent muscle breakdown and improve insulin sensitivity. Obviously, you can afford low-carb approach if you do a sedentary job and hit the gym 2-3 times a week. But a professional athlete like Fraser must include more carbs in his diet to fuel the multiple workouts. 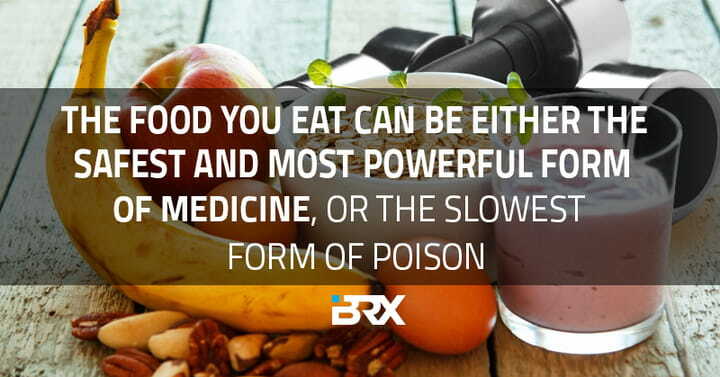 But the idea of cleaning up the diet and focusing on quality foods applies universally. 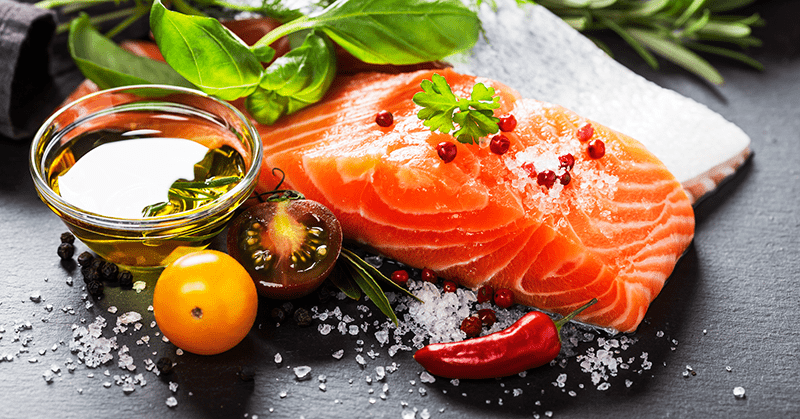 Salmon is a nutritious source of protein. Intensive workout causes that the metabolism will be working at faster speed few hours after the workout. Drop sets, supersets, complexes and interval training are the best to call out the hormonal response and to increase the Basal Metabolic Rate (BMR). It also results in the post-exercise after burn effect, when your metabolism stays elevated up to 36 hours post workout. Barbell exercises used in CrossFit (squats, deadlifts, presses, weightlifting) have huge muscle recruitment potential. Dynamic movements activate the fast-twitch fibres, stimulation of which is important for strength and speed development. By practicing them with heavy load (squats, deadlifts) or at high speed (cleans, snatches) your body is using large part of the muscle fibres. Adaptation mechanisms cause that you won´t lose the mass because it is required for the performance. These principles are also used in CrossFit workouts. They leave practically no time for recovery in between the sets, which forces the body to adapt to the conditions. When controlled, these changes can have positive effects on losing body fat and building work capacity of the organism. Combination of heavy loads, multi-joint exercises and intensity switches the body into a fat burning mood while preserving active muscle mass. Combined with diet rich in protein and healthy fats with limiting carbohydrates, it has synergic effect on the body´s ability to maintain muscle mass while burning fat. Moreover, CrossFit sessions increase the sense of community and often motivate the people to hit the bar at much higher intensity.